Looking for a Levin Cafe with excellent food and beautiful surroundings? 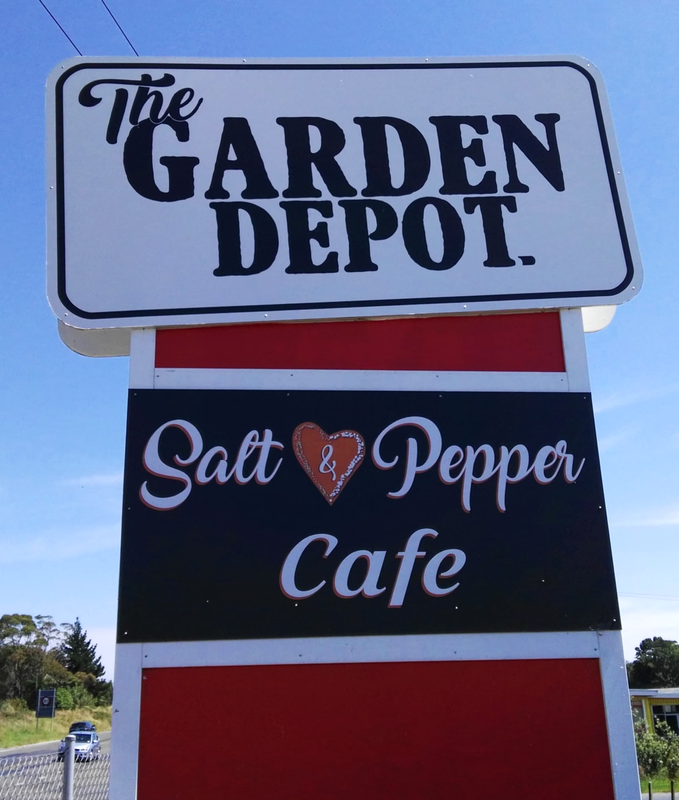 Come in and see us at Salt & Pepper Cafe. Nestled in the heart of the Garden Depot at 4 Buller Road in Levin, your hosts Stewart and Evania have created a wonderful dining experience – with an up market restaurant menu and beautiful cafe cabinet food there is something for every occasion. Whether you wish to sit around the cosy fireplace or take in the afternoon sun from the covered outdoor area, Salt & Pepper Café is an exciting place to be, contact us for bookings or pop in a see us today. 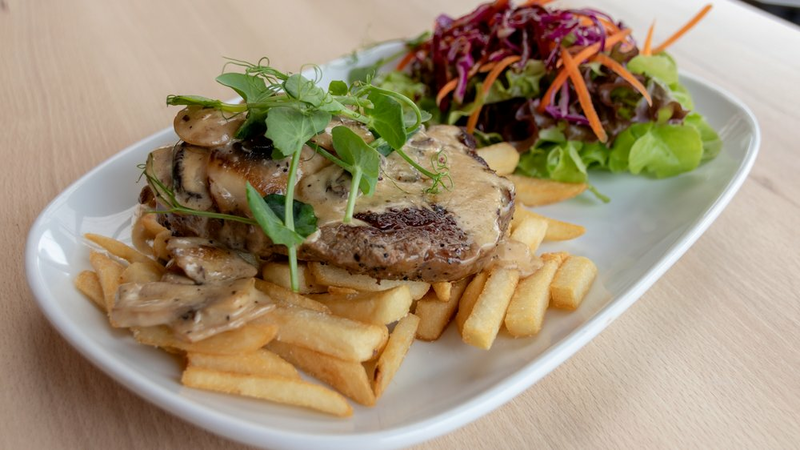 Serving breakfast and lunch all day, at Salt & Pepper Cafe in Levin we love celebrating the best flavours of the Manawatu, Horowhenua, and Kāpiti to create delicious dishes that you’ll long remember. Serving breakfast and lunch all day long, whether it’s our ever popular open chicken sandwich, a the classic steak and chips, or a hearty big breakfast, you’ll find something to satisfy your taste buds. Want something that’s not on the menu? We have tasty blackboard specials available daily, including pasta and fish of the day options. Salt & Pepper Cafe also have a wide range of cabinet food including bacon & egg pie, savoury scones and muffins, cakes -including our ever popular decadent chocolate gateau - and many more in-season favourites. There’s something for every occasion! We also make a full range of coffee, have a wide variety of teas, and are fully licensed. You’ve just had an amazing Eggs Benedict while sitting looking over the beautiful plants and trees on one of Salt & Pepper Cafe’s two decks, so why not take some time after your meal to take a relaxing browse through The Garden Depot and Bennik’s Eggs & Farm Shop. The Garden Depot has everything you need to spruce up your own little slice of paradise and is full of fantastic gift ideas, while Bennik’s top quality eggs, that you’ve just enjoyed with your meal at Salt & Pepper Cafe, are available to purchase at their shop along with a range of other yummy, fresh local produce.